Lives in Iron Ridge, WI. Began playing Dartball in 1968 at the age of 14 in the Kettle Moraine Dartball League, where he still plays. He is a past President of that league. He also plays in the Hillcrest 4-man league. Bob has won numerous RBI and high average awards, with many years batting over .600, with a high of .662. He was on the Yahr Oil team that won a Class A state championship in 2008. 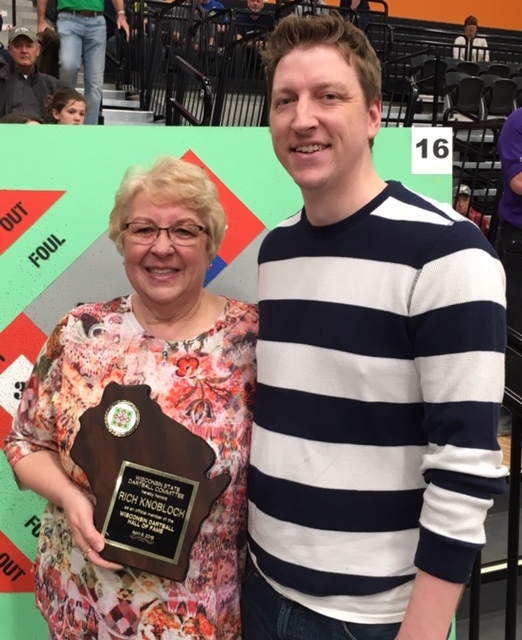 Began playing Dartball at the age of 16 in 1968 in the St. Vincent Thursday Night League in Oshkosh. Also played many years in the Sacred Heart Friday Night League. Bob hit for a high average for many years, including batting over .600 several times. His highest was .670 in 2009-10 in the Thursday league. 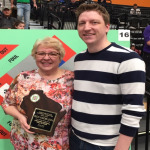 He has also been on 18 league championship teams, and won high average multiple times. 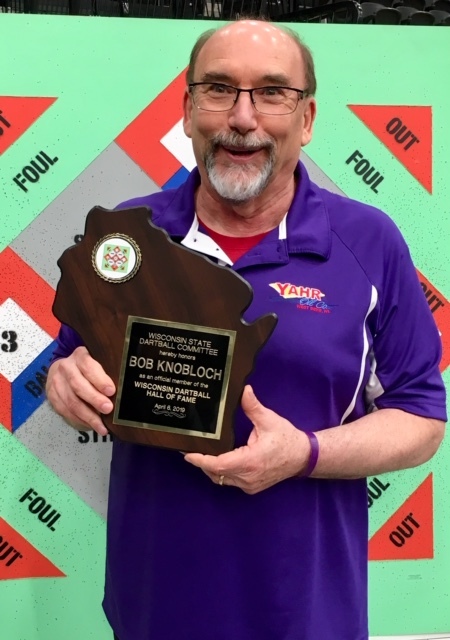 Bob was on the Class A state champions Vultures (1969) and Pinky’s (1979) and Yahr (2019). Nominated by Jimmy Knobloch, Kevin Kiesow, and Scott Footit. 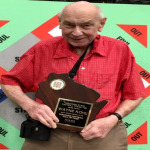 Began playing Dartball in 1953 in the Missouri Lutheran Dartball League at the age of 22. He continues to play in the church league, missing the years when he worked nights. He led the league in average 6 times, and twice in RBI’s. He recorded his highest season average of .539 in 1974-75. He is currently the league President, and has also served as league secretary and has been a team captain for many years. Don has been an avid supporter of Dartball, and is known for keeping the Augusta Church League going. He has been on several state runner-up teams, and won a Class B state championship with Grace Augusta in 2013. 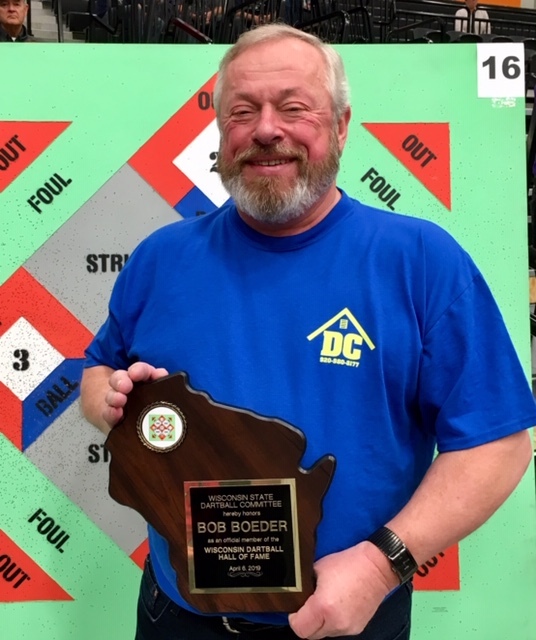 Began playing Dartball in 1968 and still plays in the Kettle Moraine Lutheran Dartball League. He has been a director and past President of that league. Also plays in the Hillcrest 4-man league, and has been the treasurer of that league for the past 12 years. He has won many batting and RBI titles, with an average over .500 for 30+ years, with a high of .572. 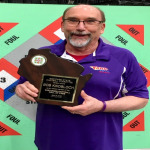 Jerry is a 2 time Class B state champion with the MC Productions (1996) and Hillcrest Generations (2017) teams. Jerry has been a member of Wisconsin Dartball State Committee since 1989. (Deceased) Lived in Oshkosh, WI. Began playing Dartball at the age of 18 in 1968 in the St. Vincent Thursday Night League in Oshkosh. Also played many years in the Sacred Heart Friday Night League. Rich consistently shot over .500, with a high of .582 in 2001-02 in the Thursday League. Rich has been on 24 league championship teams. He has also served as the league President, Secretary, and Treasurer of the Sacred Heart Thursday league. 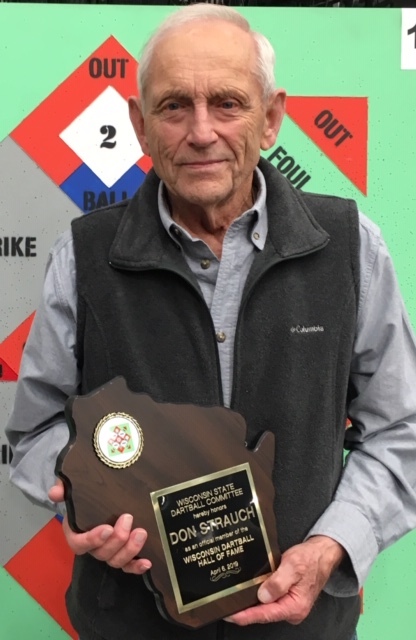 Rich was on the 1969 Vultures state champion team, and was on teams that won 6 titles in the Oshkosh Eagles Tournament. Lives in Sheboygan Falls, WI. Began playing Dartball in 1955 at the age of 12, in the Interdenominational League. He has been a team captain for 45 years and counting and served several terms as the league treasurer. He also plays on a senior league and the EWLDL, where he is in their Hall of Fame. Wayne has always been very active in tournaments around the state, and was captain of the class A State Champion Chissy’s team in 1993, and was a member of the 2003 Class A state champion Sportsman’s Bar team. 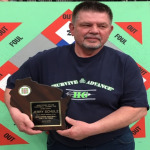 Wayne has been an active promoter of Dartball for many years, and is a true ambassador of the sport.